Here is the archive of all the previous news that were on the site! Surprise! 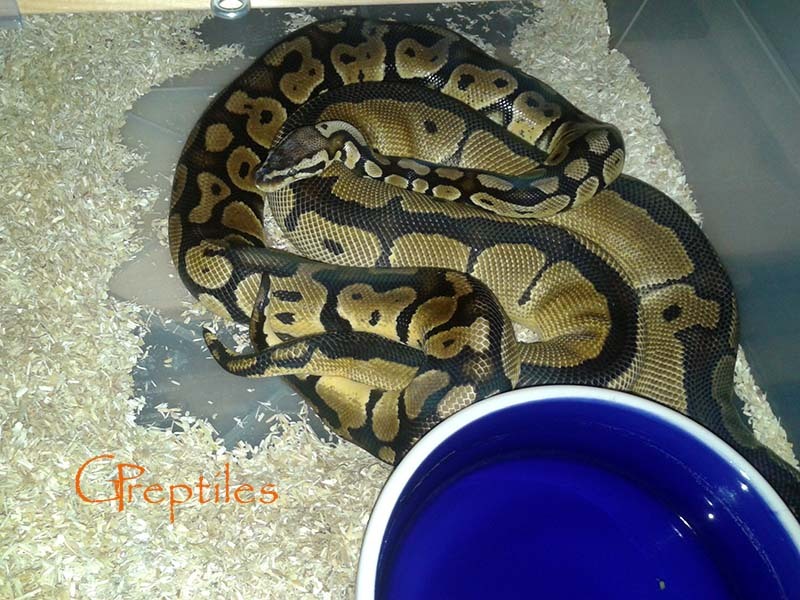 Another twins - more in Ball Python's 2015 Breeding Season. 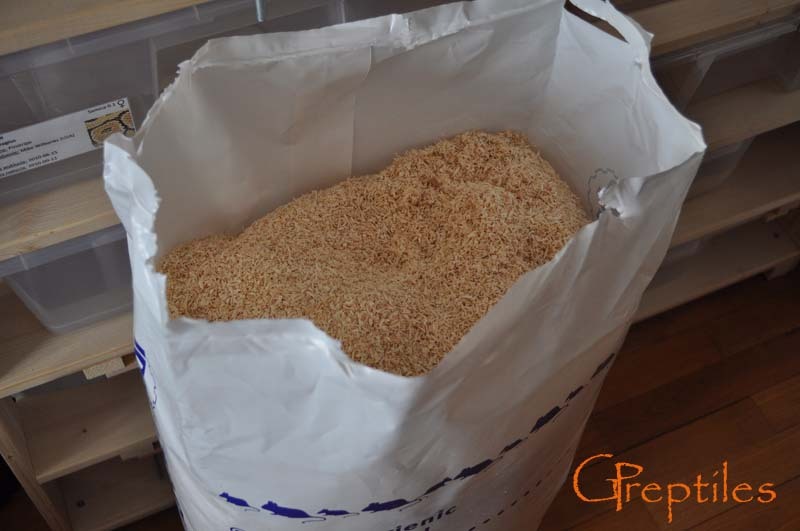 First babies from 2015 are available - more in Available. 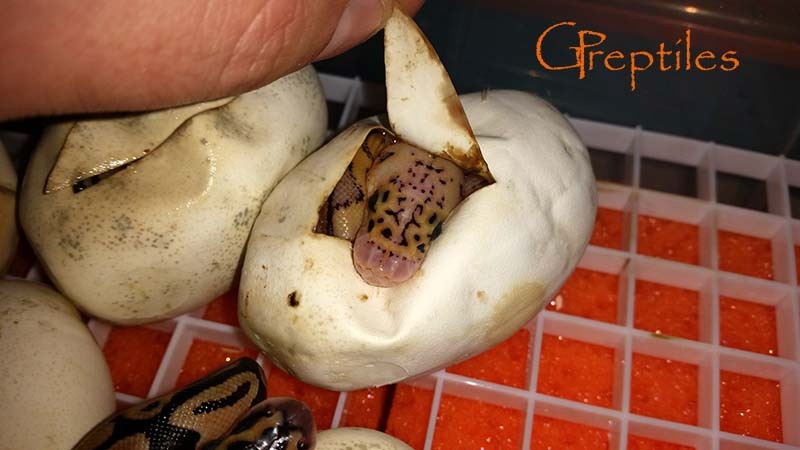 First babies in 2015 season - more in Ball Python's 2015 Breeding Season. 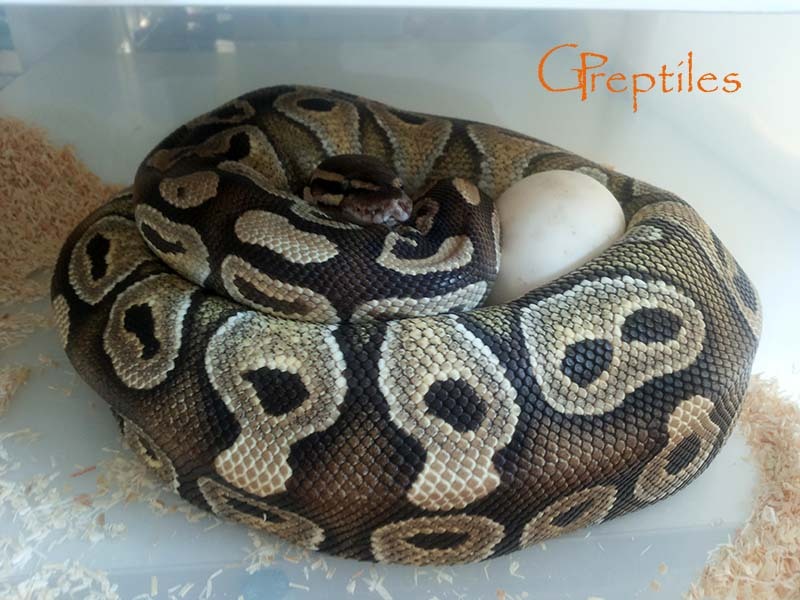 First eggs in 2015 season - more in Ball Python's 2015 Breeding Season. 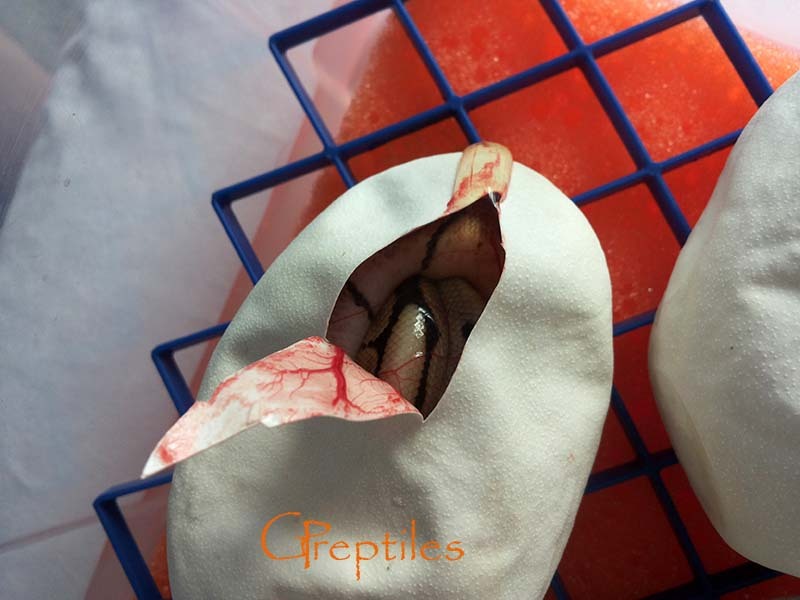 First ovulations in 2015 season - more in Ball Python's 2015 Breeding Season. 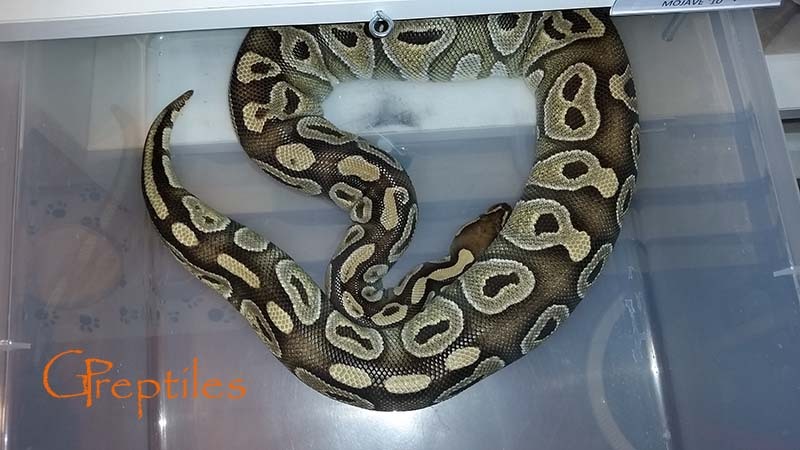 More locks in 2015 season - more in Ball Python's 2015 Breeding Season. 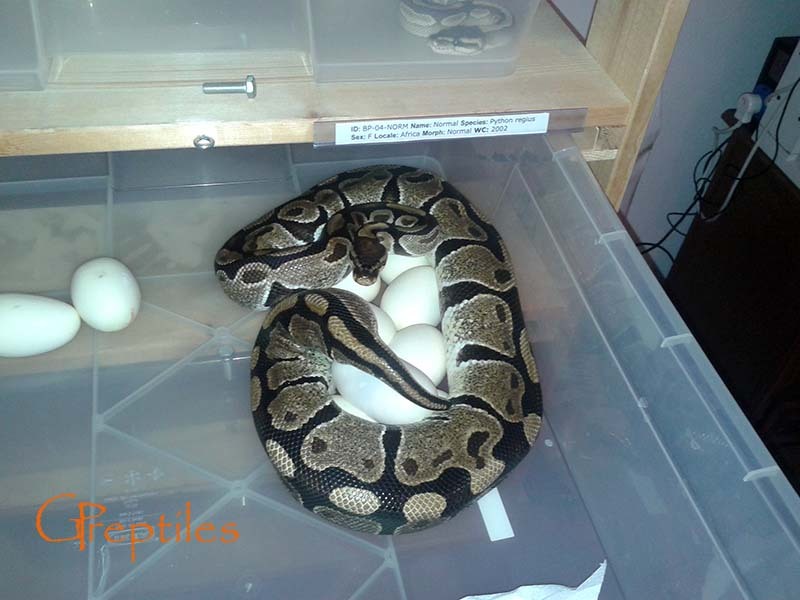 2015 season has officialy started - first lock - more in Ball Python's 2015 Breeding Season. 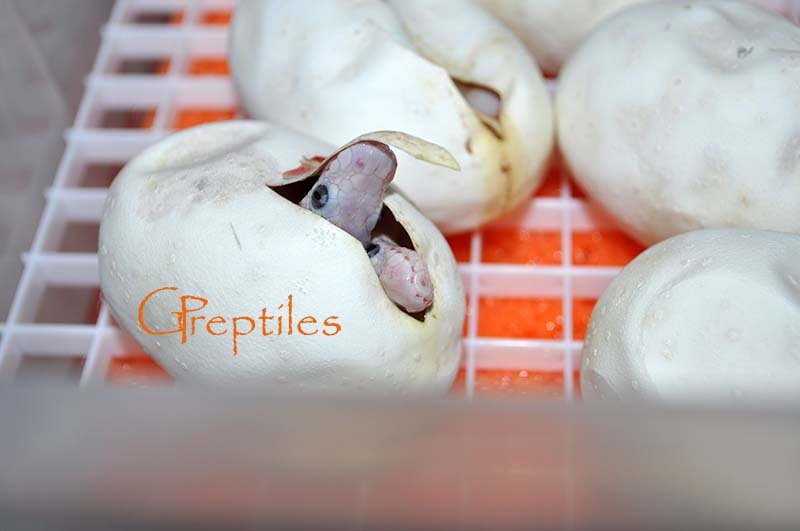 We cut the fifth and final clutch in 2014 season - more in Ball Python's 2014 Breeding Season. 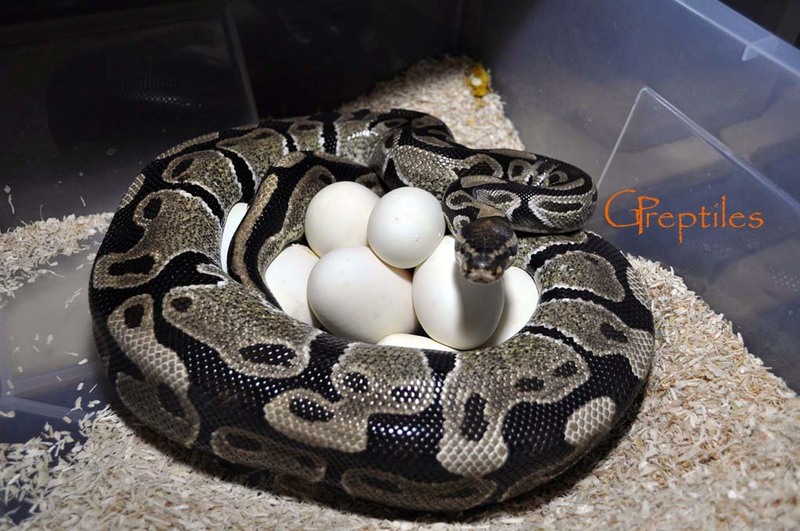 We cut the fourth clutch in 2014 season - more in Ball Python's 2014 Breeding Season. 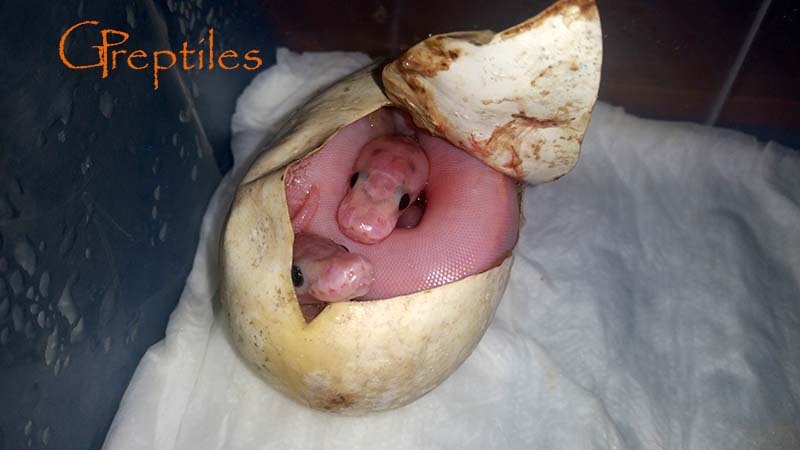 Nice surprise as we got very first twins in our collection - more in Ball Python's 2014 Breeding Season. 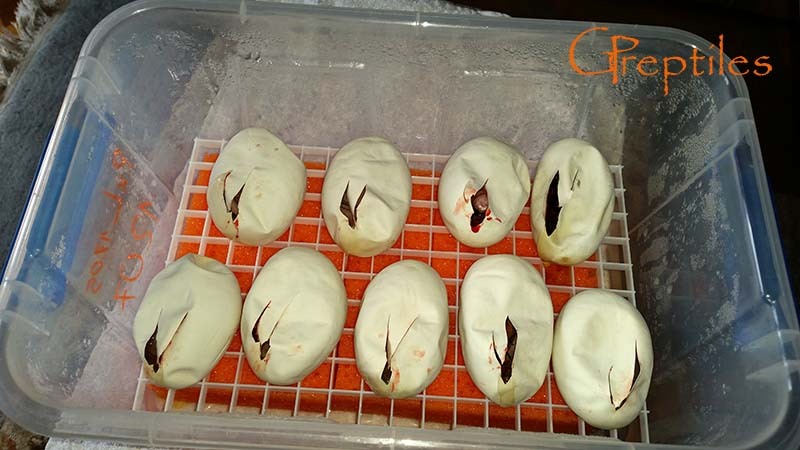 We cut the third clutch in 2014 season - more in Ball Python's 2014 Breeding Season. First babies from 2014 season available - more in Available. 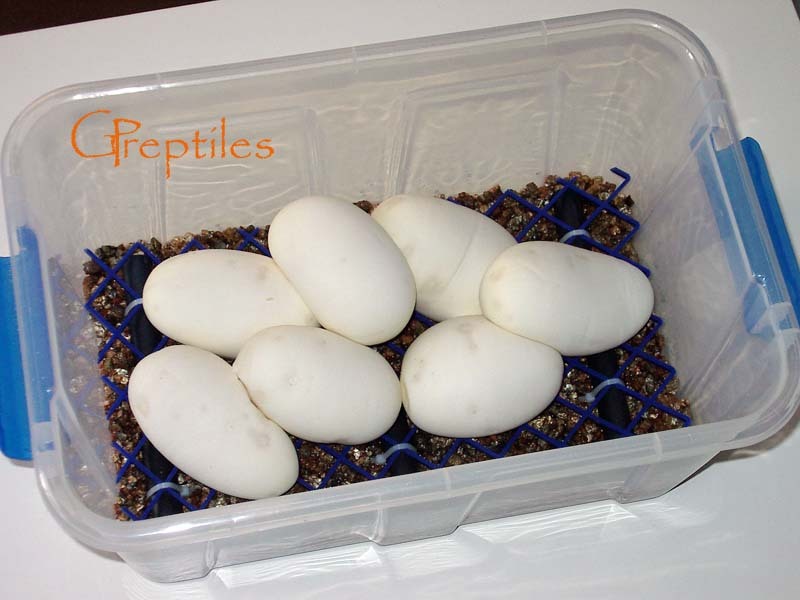 Last clutch of eggs in 2014 season - more in Ball Python's 2014 Breeding Season. 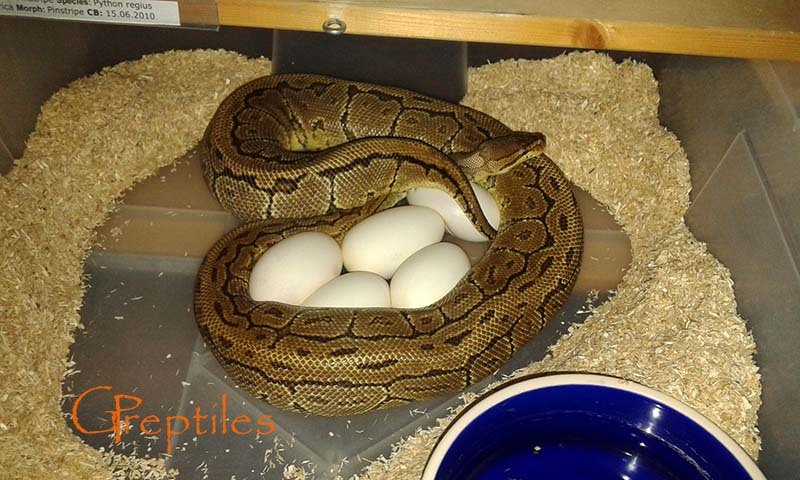 Another clutch of eggs in 2014 season - more in Ball Python's 2014 Breeding Season. 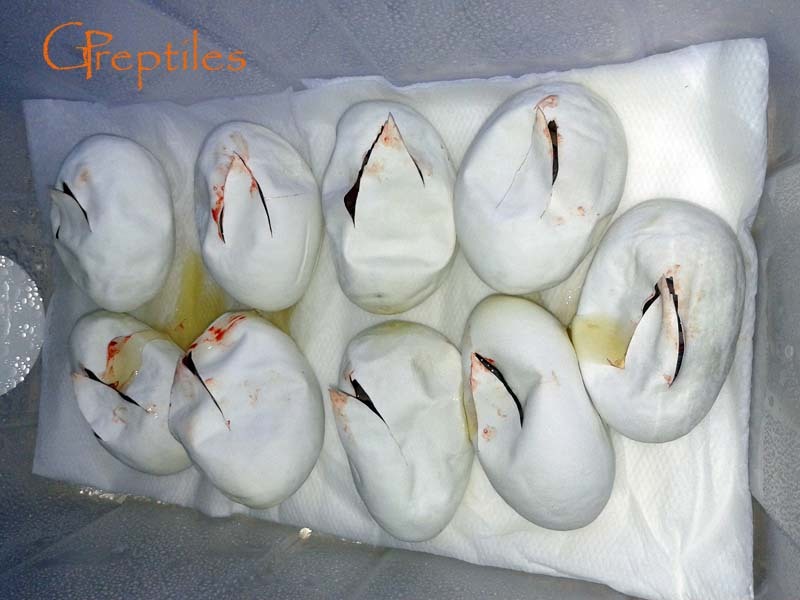 We cut the second clutch in 2014 season - more in Ball Python's 2014 Breeding Season. 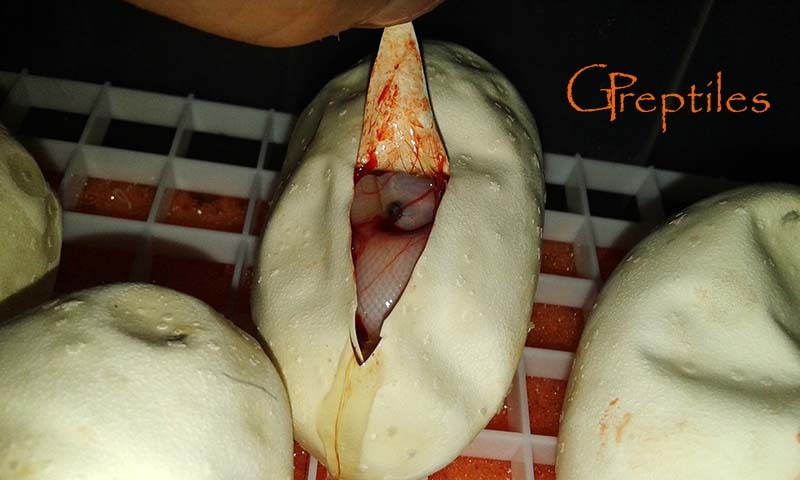 We cut the first clutch in 2014 season - more in Ball Python's 2014 Breeding Season. 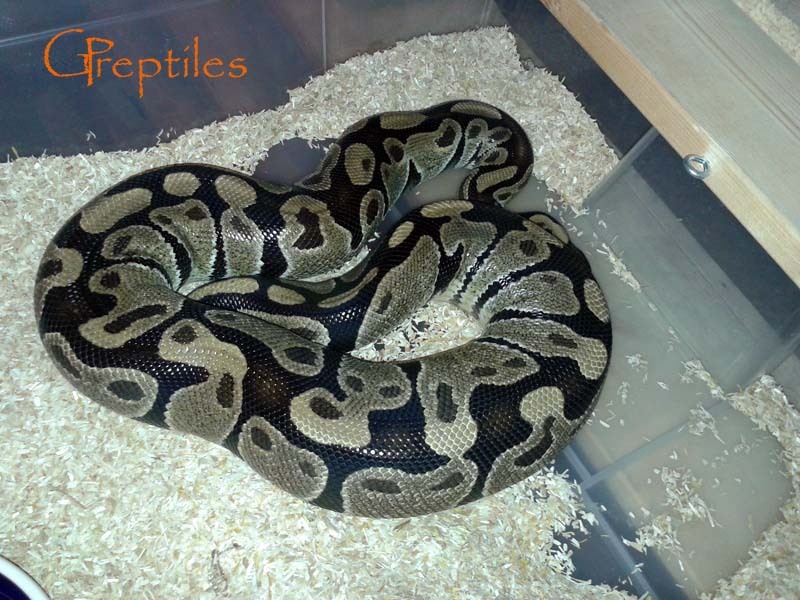 Fifth and final BP Ovy in the upcoming season - more in Ball Python's 2014 Breeding Season. Fourth Ovy in the upcoming season! 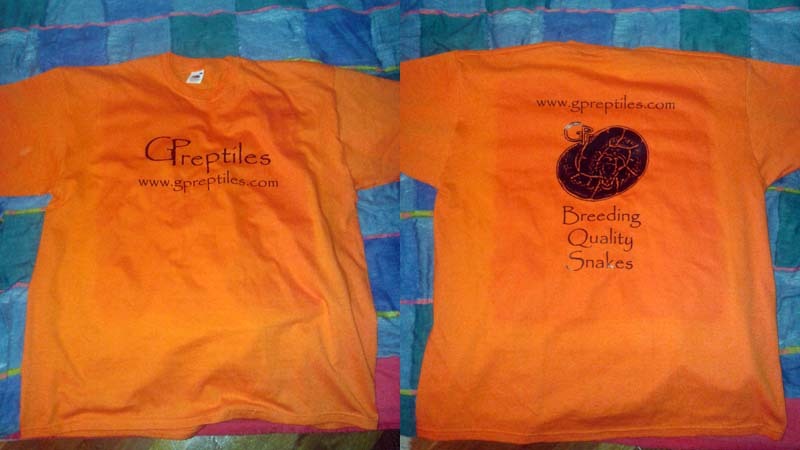 We're waiting for the last female - more in Ball Python's 2014 Breeding Season. 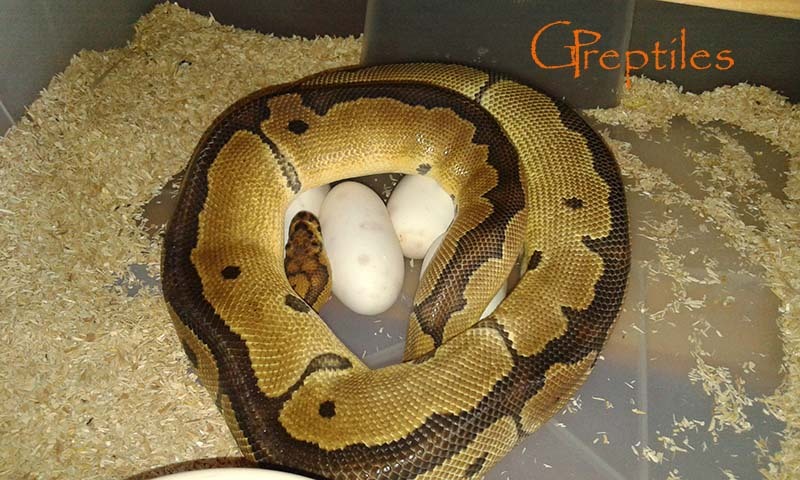 Another eggs in 2014 season - more in Ball Python's 2014 Breeding Season. 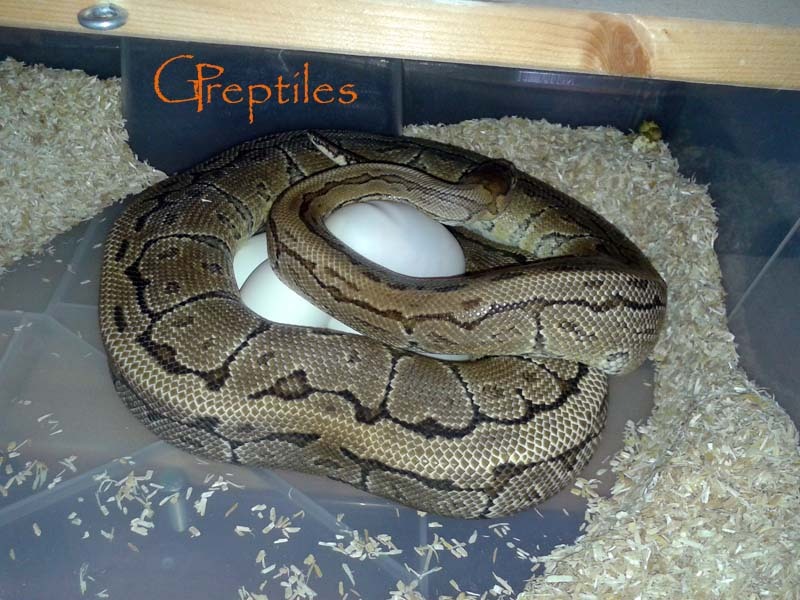 First eggs in 2014 season - more in Ball Python's 2014 Breeding Season. Third Ovy in the upcoming season! 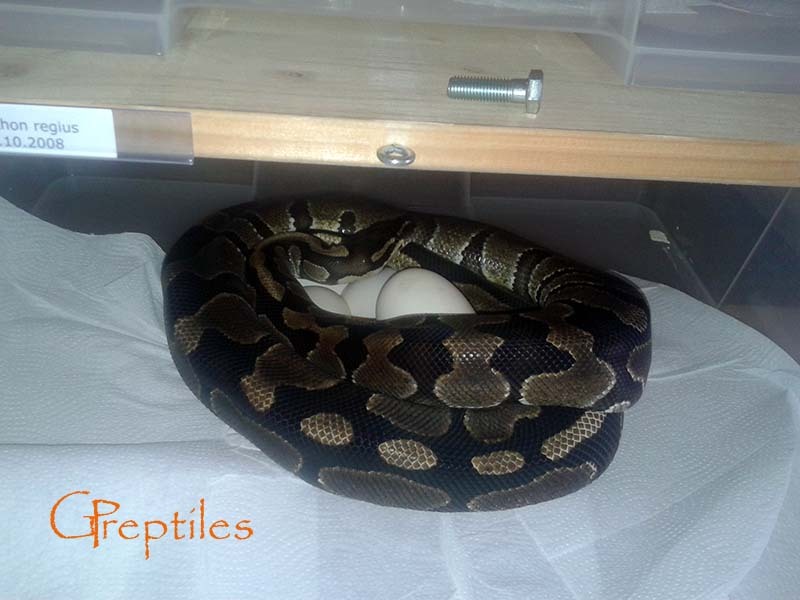 We're waiting for the rest of the females - more in Ball Python's 2014 Breeding Season. Second Ovy in the upcoming season! We're waiting for the rest of the females - more in Ball Python's 2014 Breeding Season. First Ovy in the upcoming season! 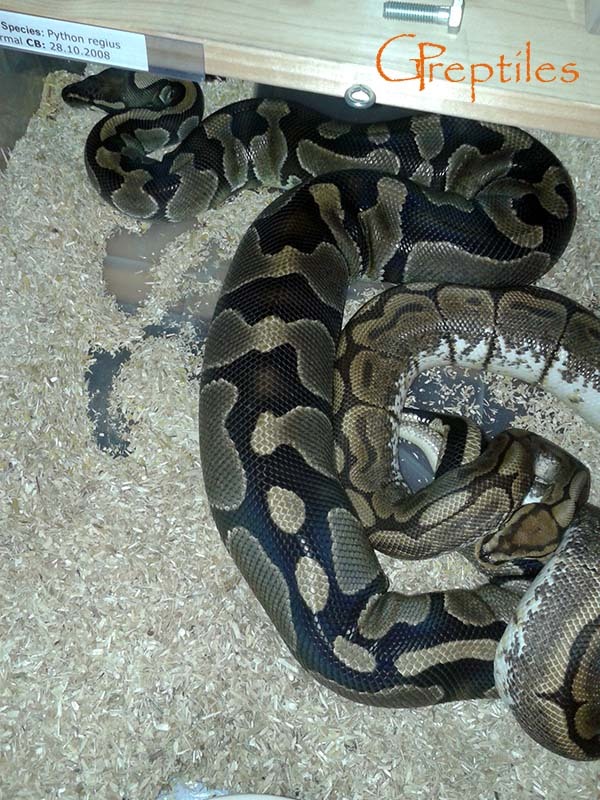 We're waiting for the rest of the females - more in Ball Python's 2014 Breeding Season. 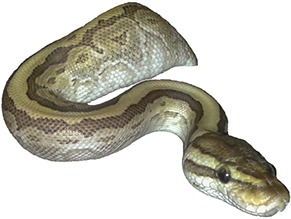 At the beginning of November we started pairing our Boa Constrictors. 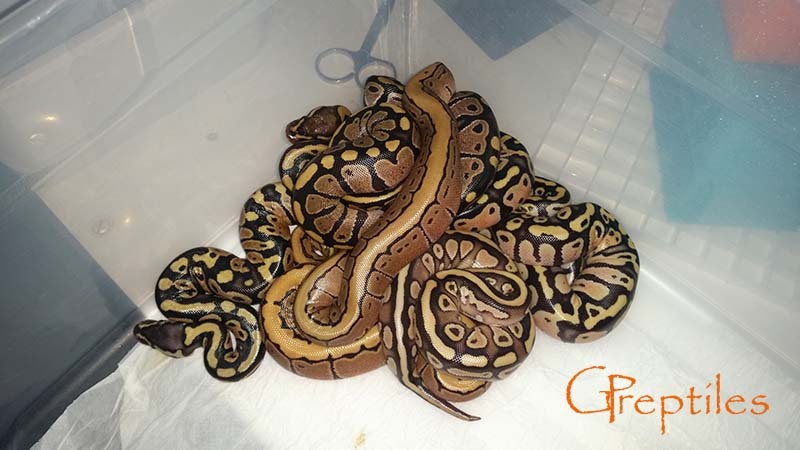 At the beginning of October we started pairing our Ball Pythons - more in Ball Python's 2014 Breeding Season. 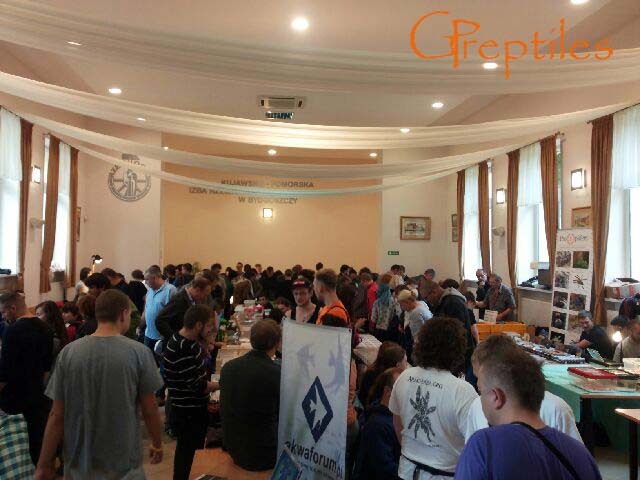 We were at the reptile show in Bydgoszcz (Poland) 29.09.2013, first time as sellers! 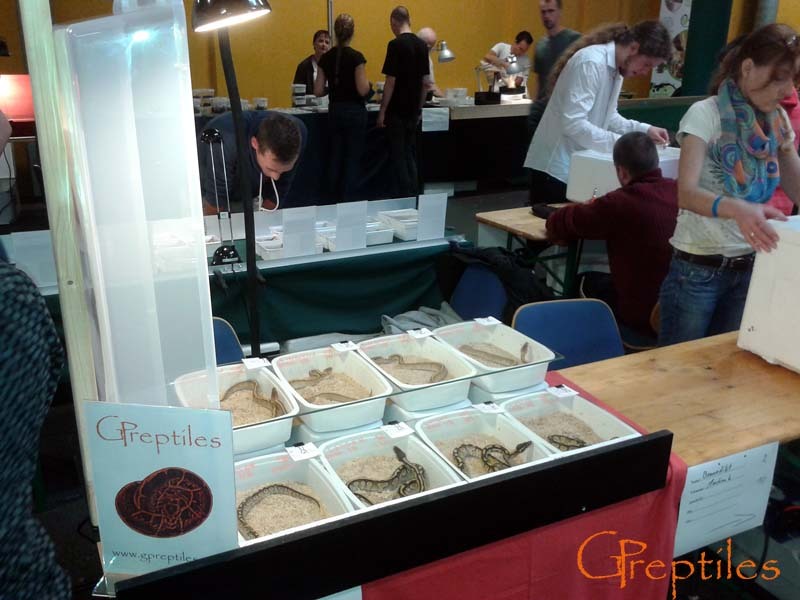 Really nice reptile show! We were in Hamm Germany for the first time as vendors and we did good! We did better then we wanted to so we are happy. Two pictures of our booth are below! 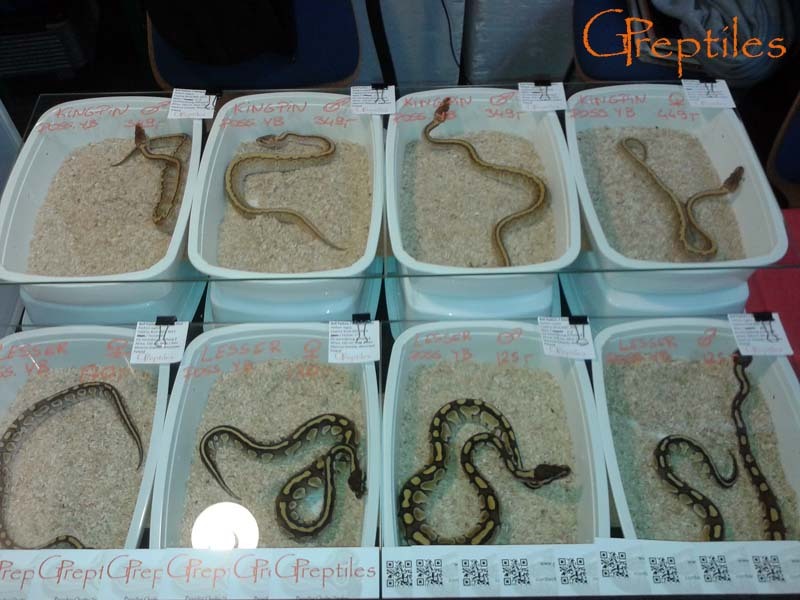 Snakes that we didn't sell are in Available section & the prices went down! Last prices reduction befor September Hamm show - more in Available. World of Ball Pythons - Poland. 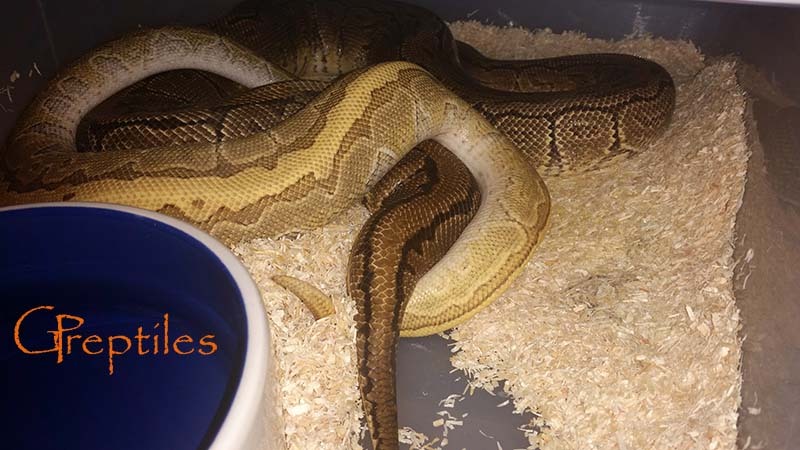 New snakes are available from our Pinstripe x Lesser pairing - more in Available. 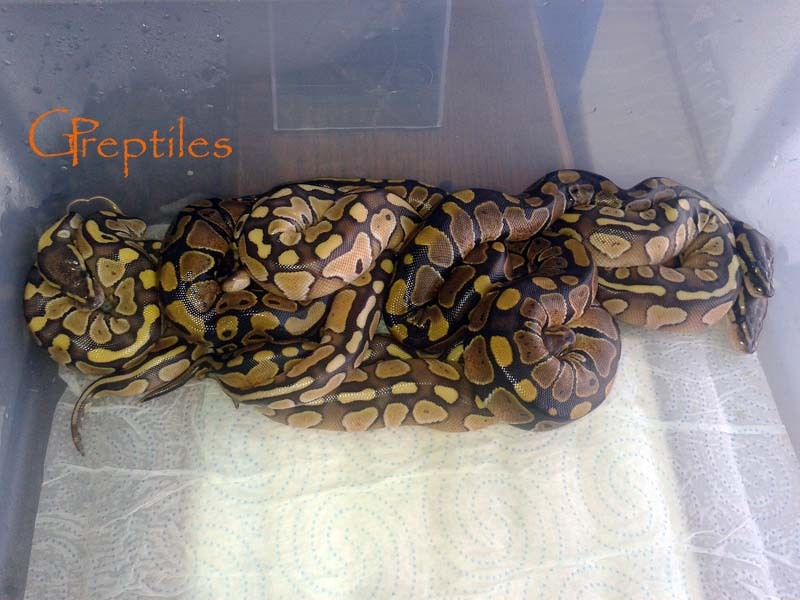 Babies from Pinstripe x Lesser are out of the eggs - more in Ball Python's 2013 Breeding Season. Pinstripe x Lesser are cut - more in Ball Python's 2013 Breeding Season. 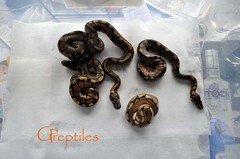 New snakes are available from our Normal x Lesser pairing - more in Available. Two new Ball Pythons joined our collection, a Pewter female and a Pastel het. Clown male - more in Collection. 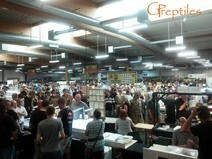 We were in Germany for the Hamm reptile show! Unfortunatelly taking pictures is not allowed, so we only took one picture to show you how it looked like :). Second clutch of 2013 season is on the ground! - more in Ball Python's 2013 Breeding Season. 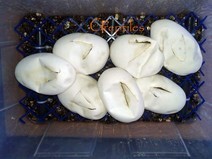 All baby BP's from the first clutch are out :) - more in Ball Python's 2013 Breeding Season. 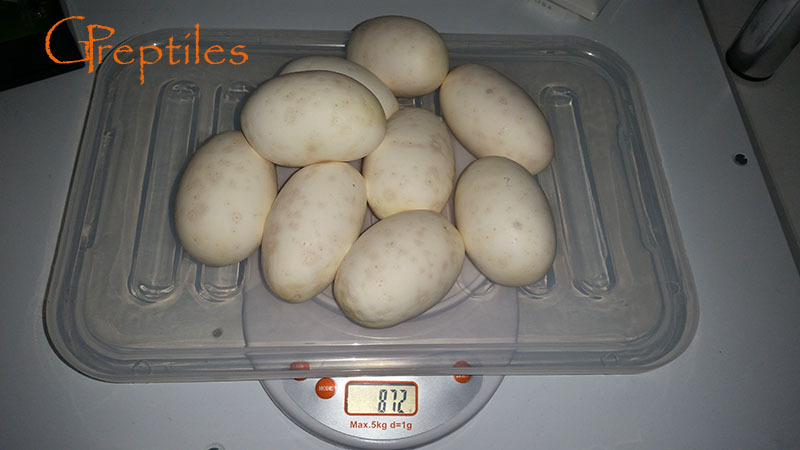 First eggs of this season are cut :) - more in Ball Python's 2013 Breeding Season. We made our own T-shirts :). For now only orange, but other colors should come soon! 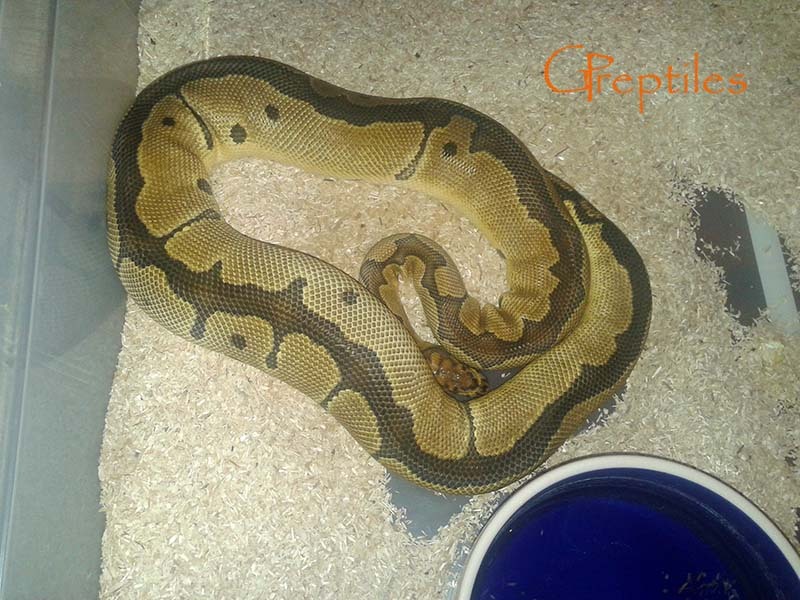 Second ovy in 2013 season - female Pinstripe - more in Ball Python's 2013 Breeding Season. 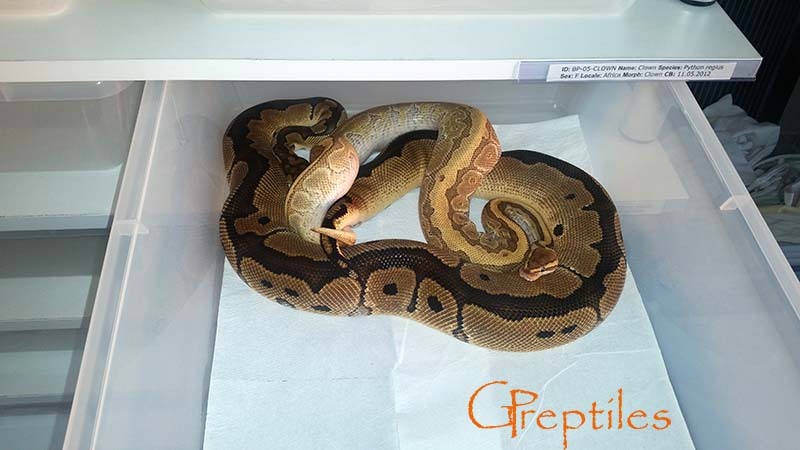 Female had her prelay shed at 11th of February, and after 31 days she laid 7 fertile eggs - more in Ball Python's 2013 Breeding Season. 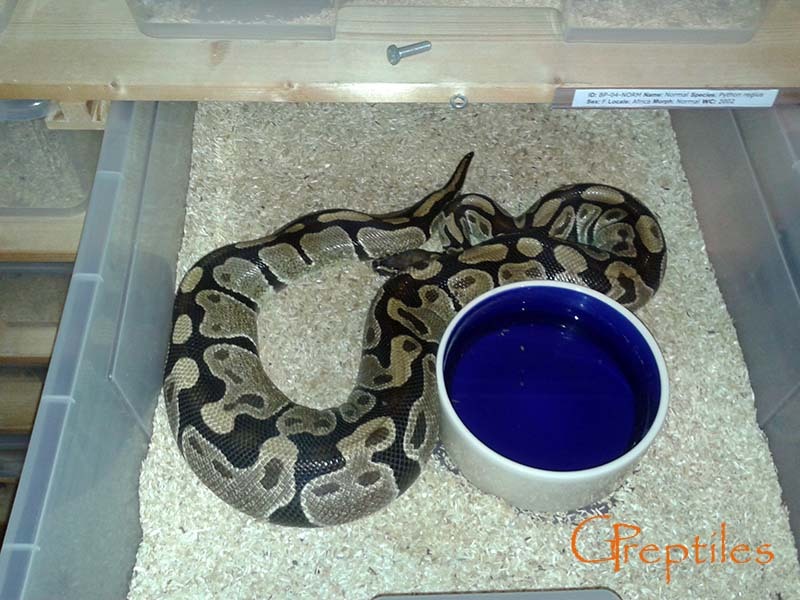 We got first ovy in 2013 season - more in Ball Python's 2013 Breeding Season. 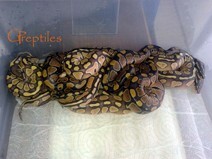 New ball python joined our collection. It's an 07 Normal female - more in Collection. We build a new baby rack. 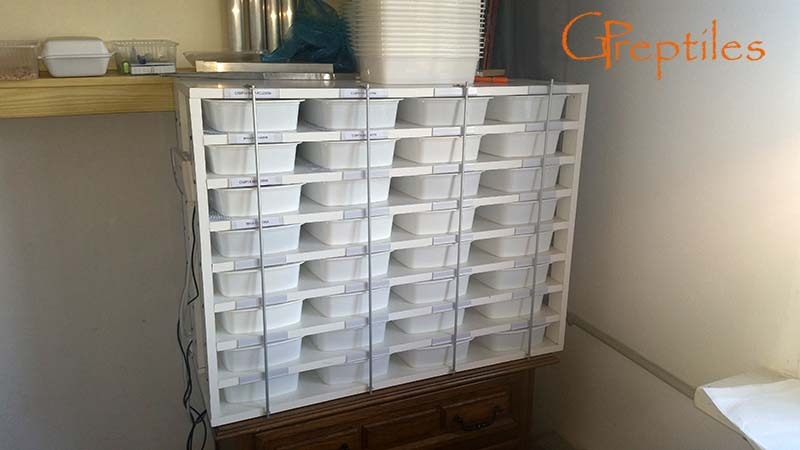 Rack has 32 tubs - more in Our cages. New ball python joined our collection. It's a beautiful male Fire Fly (Fire Pastel) - more in Collection. 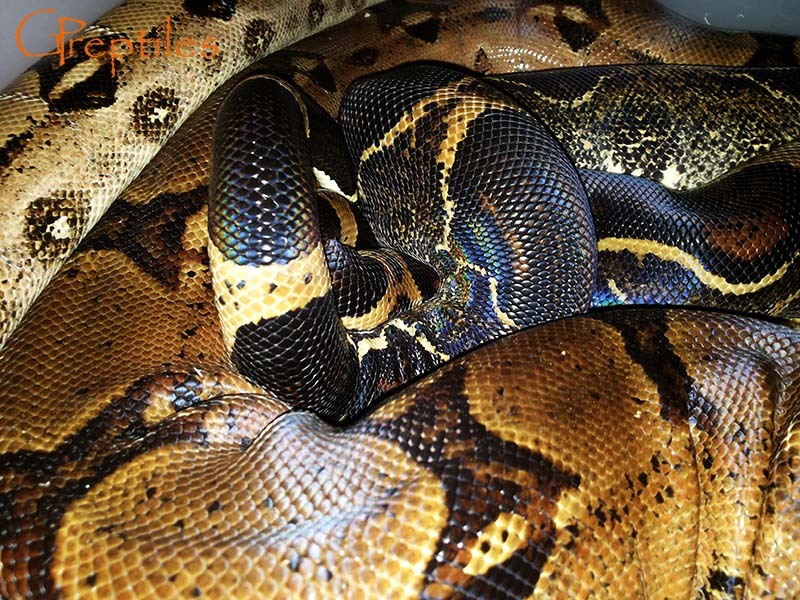 Our first attempts on breeding Boas - more in Boa 2013 Breeding Season. Ball Pythons breeding season 2013 starts! 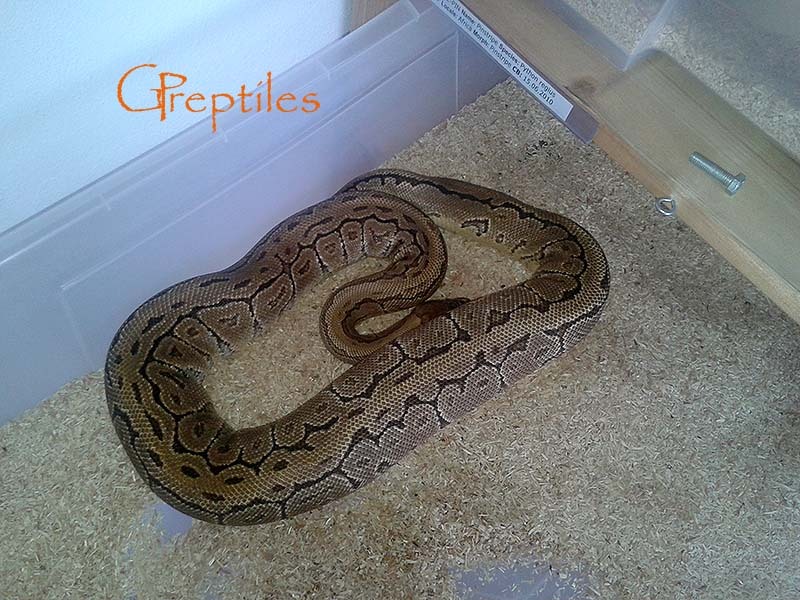 We got first locks - more in Ball Python's 2013 Breeding Season. New ball python joined our collection. It's a beautiful female Clown with reduced pattern - more in Collection. First Ball Pythons already hatched - more in Ball Python's 2012 Breeding Season. First eggs this season - more in Ball Python's 2012 Breeding Season. We've got our first ovulation, and the second female started locking - more in Ball Python's 2012 Breeding Season. 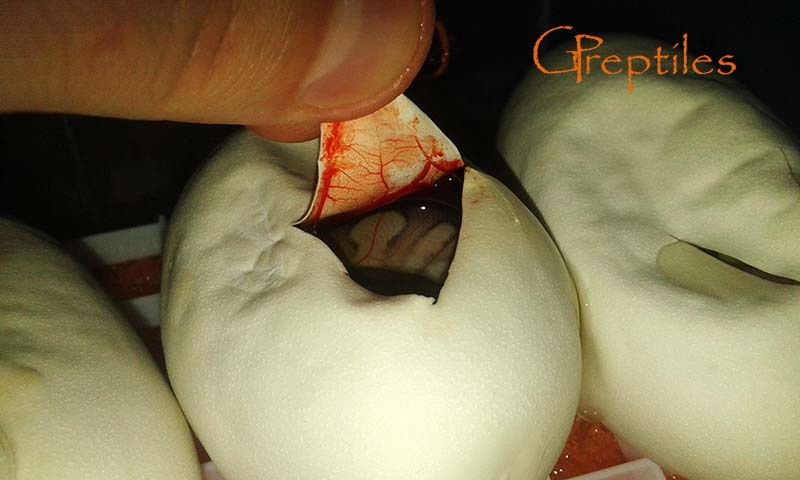 Our Ball Python breeding project has started. We got first locks - more in Ball Python's 2012 Breeding Season. We acquired an adult female BP(normal) - more in Collection. First Corns are already available! - more in Available. Corns are hatching (we got a surprise!) - more in Corns Pairing. Our Snow corn snake female laid 16 fertile eggs - more in Corns Pairing. 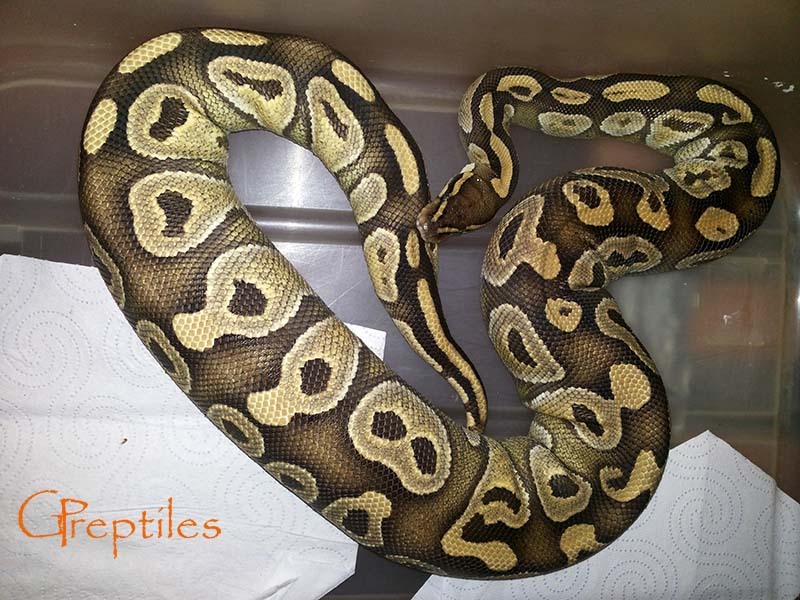 On the Rpetile Show in Warsaw we bought new BP morph to our collection (Lesser Platinum). 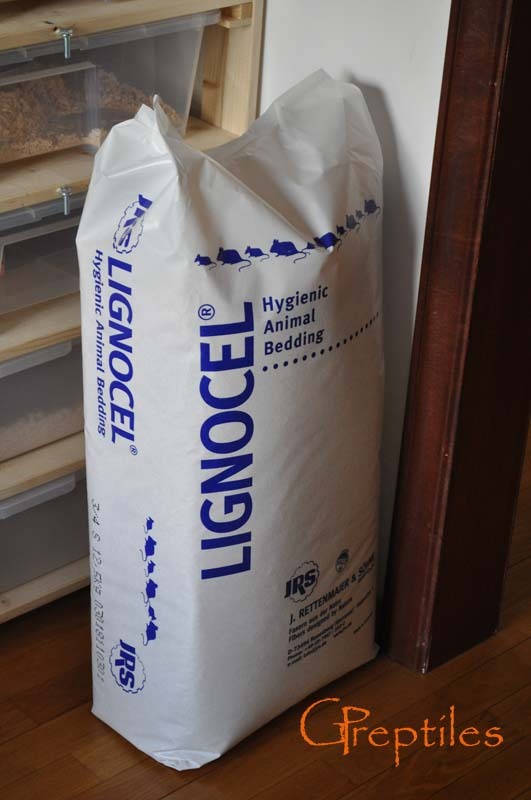 Also we bought new bedding for our snakes - Lignocel, which we will use instead of normal wood shavings.This bedding is way better then regular wood shavings, there is no dust in it, and it looks better. We paired our Corn Snakes - more in Corns Pairing. 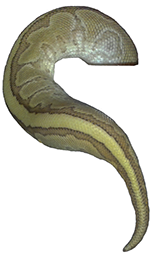 In Ball Python pairings we added new info.